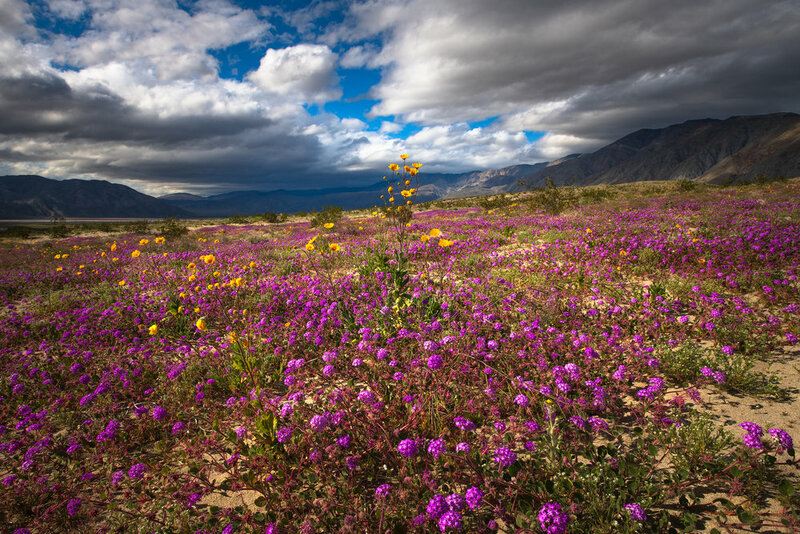 Winter rains can bring abundant flowers to the Sonoran Desert regions of Southern California. In the past three years we have experience two super-blooms. 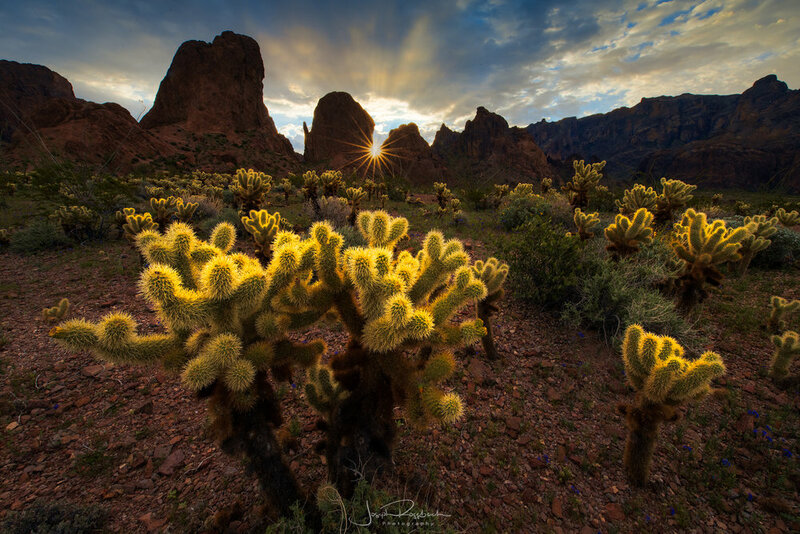 Even Without the presence of Abundant flowers, varies from year to year, the scenery and fauna of the Sonoran Desert is superb and makes for some of the most interesting And rugged scenery for photographers. This tour will visit three of the most epic locations in the region: Anza Borrego Desert State Park, Joshua Tree National Park and the Kofa Mountains Wildlife Refuge in Arizonas. All three parks are within a few hours drive from one another and this will allow us to Keep an open itinerary, chasing the best blooms and light across the desert. You will be able to photograph rugged desert mountain Ranges, badlands that rival the best ones in Places like Death Valley, Cholla and Saguaro Natural gardens, arches and some of the most whimsical rocks in the southwest. The weather in early March is Pleasant and warm and we will be able to camp in some locations right net to some of the most spectacular scenery we will encounter on the tour. We will kick things off meeting in Borrego Springs, Ca on March 8th at 1pm at the Oasis Inn. After an meet and greet and going over logistics, we will spend the afternoon and evening shooting a variety of landscapes in Anza Borrego State Park. The next morning we will be out for sunrise and a morning session. Depending on the weather and conditions in the park, we will decide whether we stay or go. The remainder of the tour will be Completely open so we can chase the blooms and the light. We may stay in hotels or camp depending on the locations Were choose, so please come Prepared with Camping equipment. I will provide all cooking Apparatuses, camp chairs and coolers for food and drink. The tour will end after sunset on March 8th. Clients should plan on renting or driving a high Clearance 4x4 vehicle. If you want to ride share, and we Recommend it, we will put everyone in touch so plans can be made. If and when we Stay in a hotel, lodging costs are the Responsibility of the participant. All meals and groceries bought on the Tour are the Responsibility of the participant. There will be no strenuous hiking involved during the workshop Most locations will be short hikes of less than 1 mile over varied desert terrain.